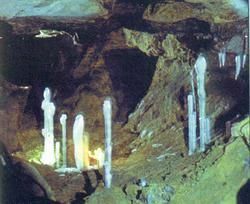 The Pionerka cave is located 1km to the West from Pohorylivka village of Zastavna district, Chernivtsi oblast. From the outside its absolutely unattractive but inside it stuns with its beauty and uniqueness. Pionerka is a four-storied cave the upper level of which has two high floors. 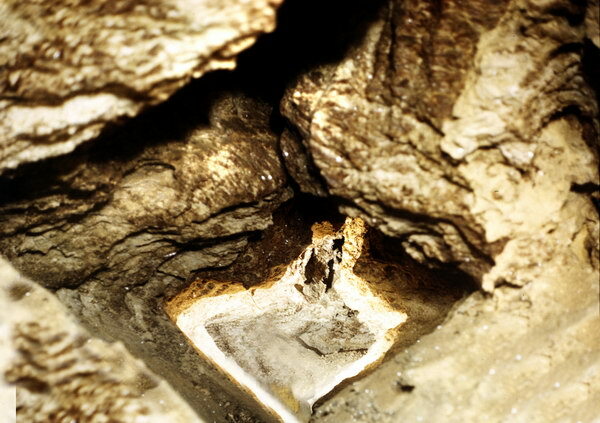 The cave entrance is a powerful grotto at a sinkhole gill. The length of the cave labyrinths is 530m and there are promising perspectives for future explorations. The width of the lower gallery is 3-4m, the height is 1-6m. The dimensions of other galleries are much smaller. The lower gallery saves low air temperature through the whole year.